Ability frisk comes in handy for the move trick and also just scouting. Super fang for weakening foes for your wincon Trick ya know, for tricking nibbas Me first is cool, if your opponent is low enough, with the choice scarf you;ll usually be faster and you can get em. 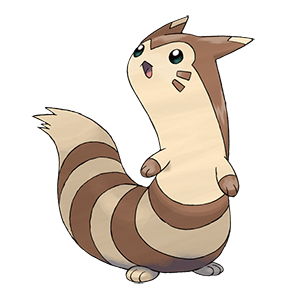 Knock off works good on this set too and is more reliable, but furret is wea; me first has a lot more killing potential and is fun to use.